Azamara Club Cruises’ Azamara Journey is currently on a sixteen-night voyage around New Zealand, ending in Australia. She departed from Auckland on Monday 6th March and headed North to the Bay of Islands for a day. Following on from the Bay of Islands she continues to circumnavigate the North and South islands of New Zealand where her final call (after 8 ports) will be Milford Sound on Thursday, March 16th. She will then cross over the Tasman Sea to Hobart, Tasmania for a day and then finally north to Sydney, Australia. Whilst on her voyage enroute to the city of Wellington for an overnight call, the Chief Officer on Azamara Journey caught this incredible footage of a pod of dolphins sailing on the bow of the ship. Following the call at Wellington, the ship sailed south to Picton on the South Island where guests were able to explore the beautiful Picton Sound. Then, on Wednesday the ship called at Dunedin and passengers witnessed a beautiful sunrise whilst in port. Guests have also been enjoying delightful meals from the Executive Chef and galley team whilst onboard the luxury ship. 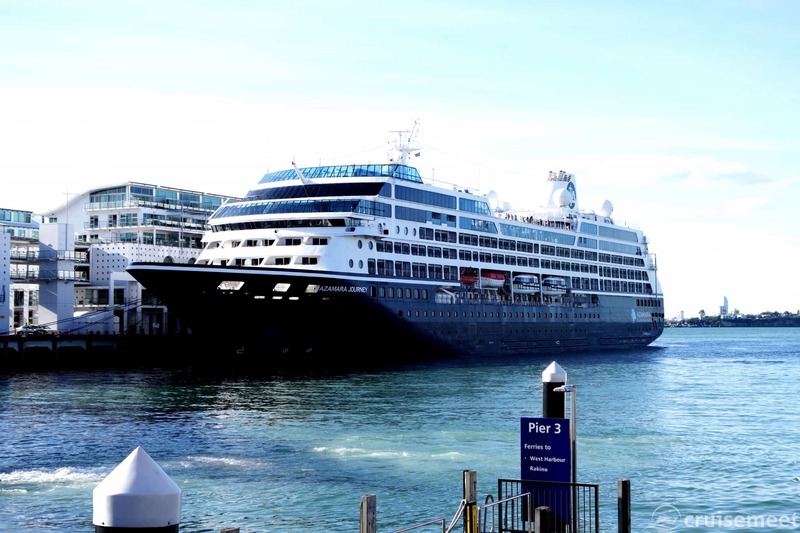 Azamara Journey will complete her cruise on March 22nd in the port of Sydney, Australia and then depart on her next voyage for 18 nights towards Singapore.